The pyramid system provided the incentive for the Club to become stronger. It was recognised that in order to compete at a higher level we needed to attract better calibre players in the short term, and to establish a junior section for the long-term prosperity of the club. In the winter of 1993 the services of Gary Parker were acquired from Moseley CC with a brief to set up a junior section. The following couple of seasons saw the junior section thrive to such an extent that teams were fielded at U-11, U-13, U-15, and U-16 levels. The late 1990s saw the 1st X1 begin to push upwards, gaining promotion from Divisions 4, 3, 2, and 1 between 1997 and 2001 when we reached Birmingham League Division 2. 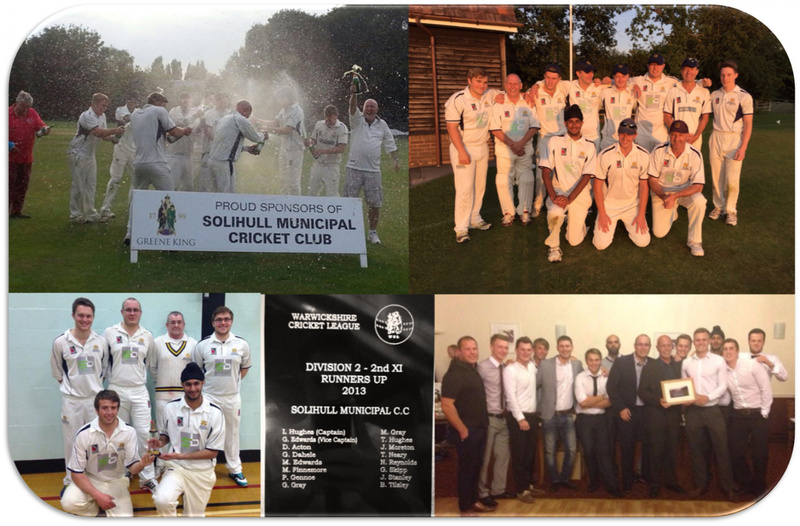 However, the success of those seasons was not sustained as players moved on and the Club suffered several relegations before a period of stability followed by a number of promotions that sees the club competing in 2015 in the Premier Division of the Warwickshire Cricket League. The thriving nature of the junior set-up necessitated the need to provide them with opportunities to further test themselves and the step was taken in 2010 to enter a team of mainly 14-19 year olds into the Shirley Midweek League. The success of this venture led to us being the only team to be represented by two sides since 2012. Furthermore, the Club registered a 3rd X1 to participate in the newly merged West Midlands 3rd X1 and Warwickshire Single Teams Leagues. The Club was fortunate enough to enter a partnership with Meriden Parish Council for the use of their new facility, in the village centre, which became home for 3years. However, that period expired in 2014 and the Club sought to move closer to home and, after much negotiation, Club Chairman Paul Gennoe and the Governors of Widney School reached an agreement to upgrade the facilities and we look forward to a new chapter in our history. Since 2014, Alex Roslyn has taken charge of the Youth section as Youth Co-ordinator with Gurpal Dahele as Senior Youth Coach revamping the youth section, so that players of the future have the necessary tools and platform to perform at the highest level they can. The adult section still the envy of many teams, have improved facilities at Brick Kiln Lane. Two new sightscreens have been purchased due to a generous donation from loyal supporters (Doug and Hillary Fogarty.) A mobile net has also been bought to improve pre-match preparations and training sessions improving the standard of cricket played at Solihull Municipal CC.